First Class MS/MPhil/equivalent degree awarded after 18 Years of education in the relevant field from an HEC recognized University/Institution with no 3rd division in the academic career. PhD in the relevant field from an HEC recognized University/Institution. 15 years teaching/research experience in an HEC recognized University or a post-graduate Institution or professional experience in the relevant field in a National or International organization. The applicant must have 15 research publications with at least 5 publications in the last 5 years in HEC recognized journals. MA/M.Sc in History, Literature, Sociology, Archaeology or any other relevant subject with two years experience in museum development and management. 1. All the candidates are advised to fill online application form at www.uobs.edu.pk within the given due date. No application is accepted by hand, through courier, or via email etc. 2. 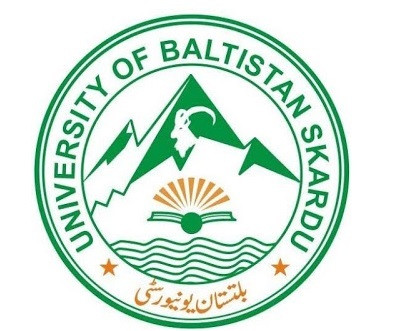 Applicants must deposit Rs.3000/- non-refundable, application processing fee online, for each position separately in the name of University of Baltistan, Skardu, NBP Account No: 0486004147744785 and submit the scan copy of the deposit slip online during the form submission. 3. 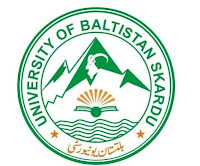 The candidates from abroad may submit Bank Draft of US $50/- in favor of the Treasurer University of Baltistan, Skardu. 4. Incomplete or applications received after the due date will not be entertained/considered. 5. The candidates applying for more than one post shall submit separate Job Application and separate application processing fee for each position. 6. The University reserves the right not-to-fill/withdraw/change any number of positions or withhold the appointment against any advertised post without assigning any reason. 7. The candidate already in Government Service must submit NOC with the application form. 8. Certificate of Post-graduate teaching experience in the relevant subject, clearly mentioning the duration, and other experience certificates, duly issued from the office of the Competent Authority must be submitted online with the application form. No advantage, whatsoever, would be given if Experience Certificates are not attached. 9. The Candidates must submit HEC Equivalence Certificate(s) with the application form, where applicable, otherwise, their applications would not be entertained / considered. 10. All appointments are subject to verification of their degrees from HEC. 11. PhD thesis of the local degree holders must have been evaluated by two foreign experts as per HEC guidelines for award of PhD degree, in case foreign evaluation has not been done then the candidate must provide evidence of two publications in HEC recognized Journals. 12. The evaluation of the Scrutiny committee shall be considered final and only short listed candidates will be called for interview. 13. Upper age limit may be relaxed as per Government/HEC Rules. 14. All communications during the selection process (call for interview/test etc.) with the candidates will be made through official email (hrm@uobs.edu.pk). 15. No TA/DA would be admissible when called for interview. Applications complete in all respects must be submitted online not later than January 15, 2019.